He had a history of concussions but things only came to a head for Duncan Taylor in a Premiership match between Saracens and Wasps on 7 January at the start of this year. There was a healthy crowd of 17,677 in Coventry’s Ricoh Arena, Wayne Barnes was officiating, and the two teams were going at it. An early tackle by Sarries’ Scottish centre in the opening exchanges was unremarkable for everyone in the ground except the Scot, who took a stray elbow to the head and had an epiphany of sorts… or at least he did after the game had finished. “I took a knock in the first play of the game,” Taylor takes up the story. “I made a tackle and my vision went completely. I couldn’t see anything and I was getting migraines. [My vision was…] blurred, like I can’t see where the rugby ball is. I am just running around and everything is mush, everyone is just merged into one. So you are sort of running around like a headless chicken without a clue where you are going and then I was scared to make tackles. Despite his history of head injuries, Taylor carried on playing against Wasps for a further 22 minutes, partially blinded, only making way for a replacement in the middle of the first half. The obvious question is why? Why did he stay on the pitch? “It’s just my own stubbornness really,” he replies. “I’ve had enough injuries and stuff never to want to leave the field. The head stuff came off me having quite a lot of injuries anyway, so when the head problems arose I needed to pretend it wasn’t happening and just crack on anyway. “At that minute I felt myself a waste of space, being at the club and not being able to play. Then I finally get a chance to play and I’m getting headaches and things aren’t right and I am just trying to put it all to the back of my mind and just crack on with playing. The issue begs questions of Saracens’ medical staff, how could they fail to spot a player who failed to spot the ball? But then again had Taylor not been deceiving people for years, not least himself? “Yeah, 100 per cent,” he replies, “because I was in denial myself. I was like, ‘it’s gonna pass, it’s gonna settle, I’ll be fine’. I was taking a lot of painkillers and anti-inflammatories and whatever else I could get to try and settle things down. 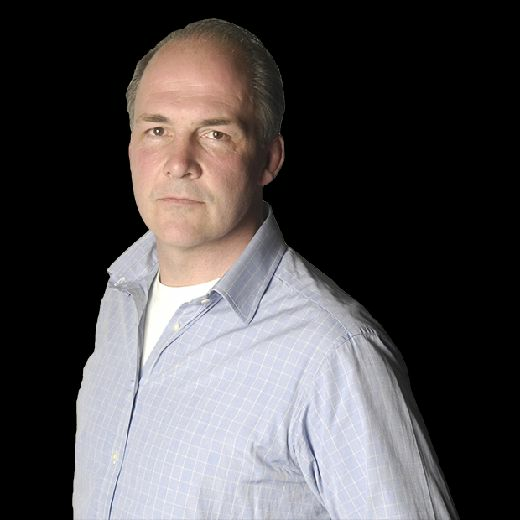 He has a point about the injuries – they have been relentless, overwhelming, depressing. The game has to change. An ankle required surgery, twice, his hamstring is more sensitive than a Stradivarius, a dodgy shoulder, torn knee ligaments, the list of hurt is so long that even Taylor admits that all the injuries merge into one in his own mind. He played four full matches at the start of last season for Sarries, after which the longest he managed was 36 minutes, but the numerous injuries did serve one perverse purpose – each one allowed Taylor’s head to recover to the extent that he was able to take to the field again. He specifies another match against Wasps, coincidentally, where he was already struggling with a bang to the head when he injured the ligaments of one knee – and the enforced 11-week break gave both problems time to settle, if only temporarily in the case of his head. If there is a silver lining to this story, it is that the specialists are not convinced that Taylor’s migraines and vision issues are entirely the result of trauma to his head, although that appears to be the trigger. “It could be that I am prone to migraines anyway and have been getting slight versions of them throughout my career without identifying them,” he says. “Then it became a proper issue. That was a positive thing about them because I didn’t know it [his head problems] was migraine-related, I thought it was concussion-related and I really didn’t want to deal with it because I thought, the way the game is going, that would be the end of my career. “Then seeing the specialist and seeing the doctors and realising it was a migraine and it should go [away] just taking the right medication, so I should still be good to play when it calms down. But it’s just about being honest because if you are playing with a migraine then they just build up and up and up until you get to the point where I was at. The other good news is that while he is not in Saracens’ match day squad for today’s game against Newcastle Falcons, Taylor is – cue the drum roll – fit to play. In fact he already has two pre-season matches under his belt, against his former club Bedford Blues and the Ospreys, from which he emerged unscathed. And his fingers are crossed that his luck holds; you feel he is due some. 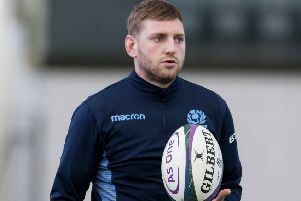 Gregor Townsend has been in constant communication with a stand-out player who missed last summer’s tour with, it is a relief to hear, a slipped disc. The distant spectacle of the 2019 Rugby World Cup sits in the back of his mind and, after missing the last one through injury (you will have guessed that much), Taylor is keen to experience next year’s tournament in Japan. You hope as much, you certainly hope so.